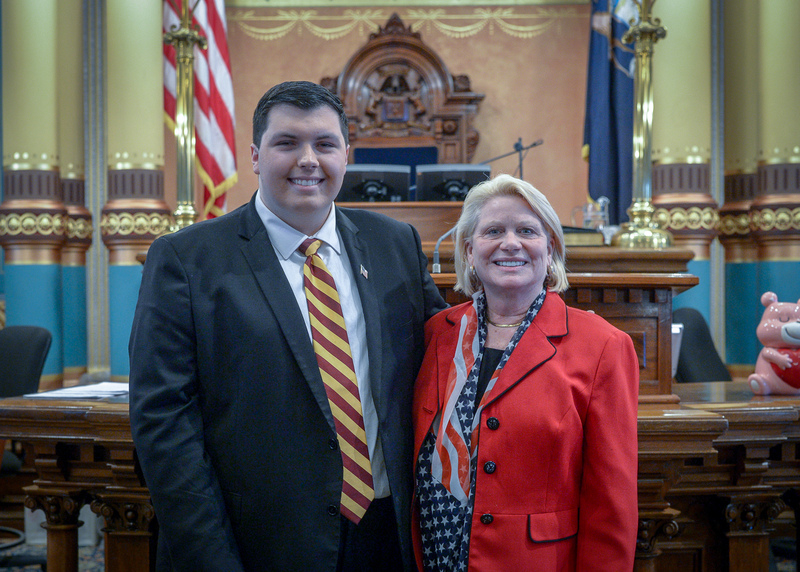 LANSING, Mich. — Sen. Ruth Johnson, R-Holly, welcomed Matthew Smith to the Michigan Capitol on Tuesday night as her guest for Gov. Gretchen Whitmer’s 2019 State of the State address. Smith is a member of the Davison Board of Education and is studying political science at the University of Michigan-Flint. Editor’s note: The above photograph of Johnson is available by clicking on the image or by visiting https://www.senatorruthjohnson.com/photos/.